I never knew that their was such a big difference in player wages for an 89 and 90 rated player. 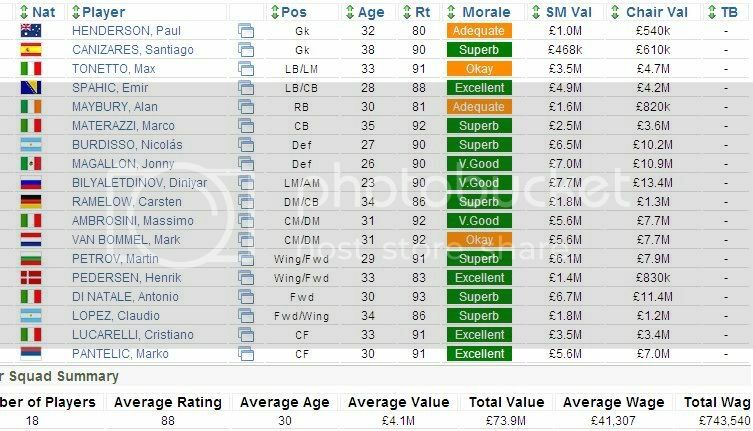 It would be interesting to see the maths of how much i could save with my 90-92 rated squad of 20. Just wanted to say this is an excellent thread and the maths have been done very well. As for myself, I try to keep track of the profit I make on my risers as much as I can so I have actually created an excel spreadsheet which makes it possible to calculate the profit based on turns listed, wages, selling price etc. In case anyone is interested I'm happy to share it, just PM me. took me one week to get this squad done. btw, do you know why wages are sometimes at 40000 and then when contract is offered it jumps straight up to 60000 ??? This is because the player has gone up in ratings since you signed him. This thread is very, very good for newcomers, or anyone, as it has made me think more financially. 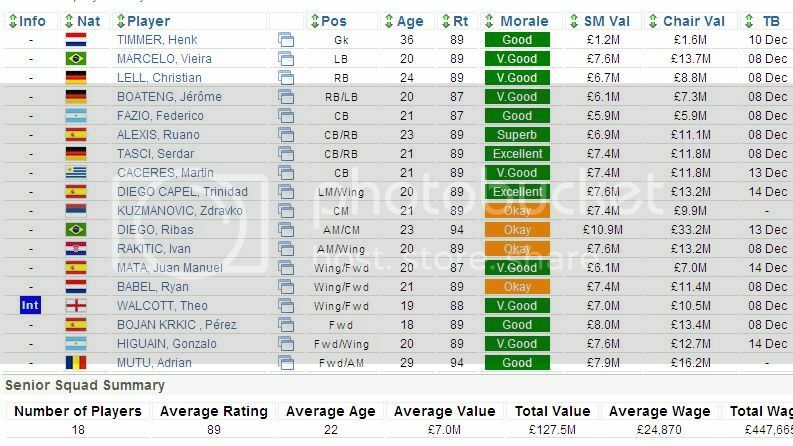 I am looking at more 89 rated players, as opposed to 90 rated ones. This thread should be stickied, more than a few that are on the player discussion threads are. BTW, I had noticed this before, and if I was to make a big thread, this would be it. Cheers. I know what Devenator means. You buy a player rated between 90-94 and his contract's about 45k a week. When it comes to renewing that players contract though they go up to 60k a week for some reason. When you buy a player rated 90-94 from an unmanaged or external club, the new player bought will have wages of around 45000 which is about 15000 less than the normal wage. A possible reason for this is maybe that new players are paid low at the start and rewarded for their loyalty later . The above basically shows that the new players (with transfer bans) have lower wages. However, this is only the case for 90-94 rated players for some reason.